With the four billion dollar acquisition of LucasFilm came the birth of what has been quoted in one interview, as a 100 year plan for Star Wars. Movies are being announced yearly, with spin off TV shows and comic arches supplementing the main storyline. Toys in the likeness of icons both new and old are springing up in aisles across the globe to be hunted by collectors and coveted by children. Sounds like paradise, right? But with all this heaven-on-earth, how is one to keep up? Well, leave it to the Mouse. On Star Wars Day, the proud new owners of the Lucasfilm empire (it’s Disney in case you somehow missed it. How did you miss it?) unveiled their ongoing weekly web show to keep fans up to date, and to keep the code of the internet packed with Star Wars news, chatter, rumors, hype, and mystery! 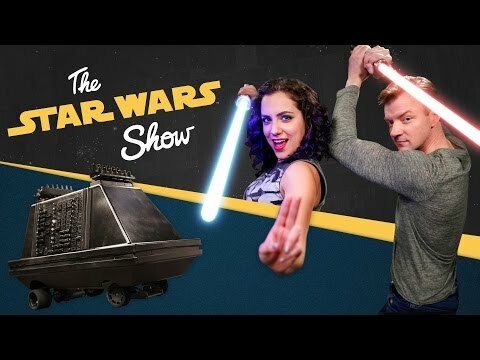 Geniusly titled “The Star Wars Show,” the first episode kicks off with its hosts Andi Gutierrez (LucasFilm’s own digital communications manager) and actor Peter Townley, and proves that the series will be absolutely packed full of awesome information for Star Wars fans (even those weird ones who like the prequels better than the original trilogy). Check it out below, and be sure to subscribe to their channel to keep up!